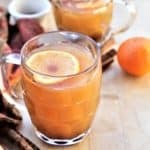 Mulled Apple Cider. It is the end of the year, and there are always things to be thankful for, and to celebrate. This simple apple cider has a amazing flavor that compliments the season, is ready in fifteen minutes, and only requires a few ingredients. Perfect for kids and adults! Non alcoholic, vegan, gluten free and dairy free. 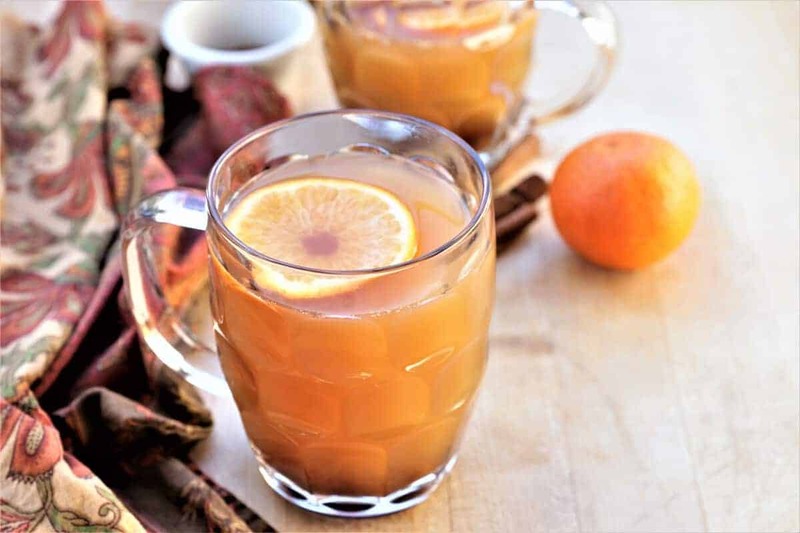 Warm and lightly spiced, mulled apple cider is a treat any time of the day. Vegan, gluten free, dairy free. Blend 1 cup f apple cider, spices, maple syrup and orange in high speed blender for several minutes, or until spices are dissolved. Pour remaining apple cider and blended 1 cup of cider into pot. Bring to boil, watching carefully as it will boil over. Reduce to simmer, and cook for 20 minutes. Serve with slices of orange.